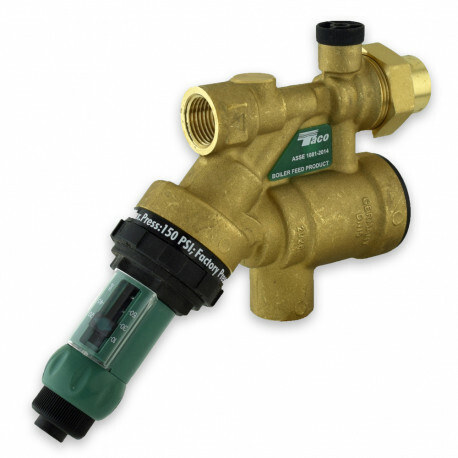 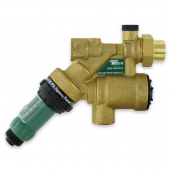 Taco 3450 cartridge style fill valve combines pressure regulating valve, dual check backflow preventer and a pressure relief valve (atmospheric vent) into a one-piece design - simply dial the pressure setting and connect the pipes. 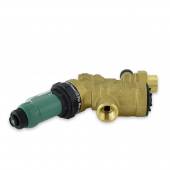 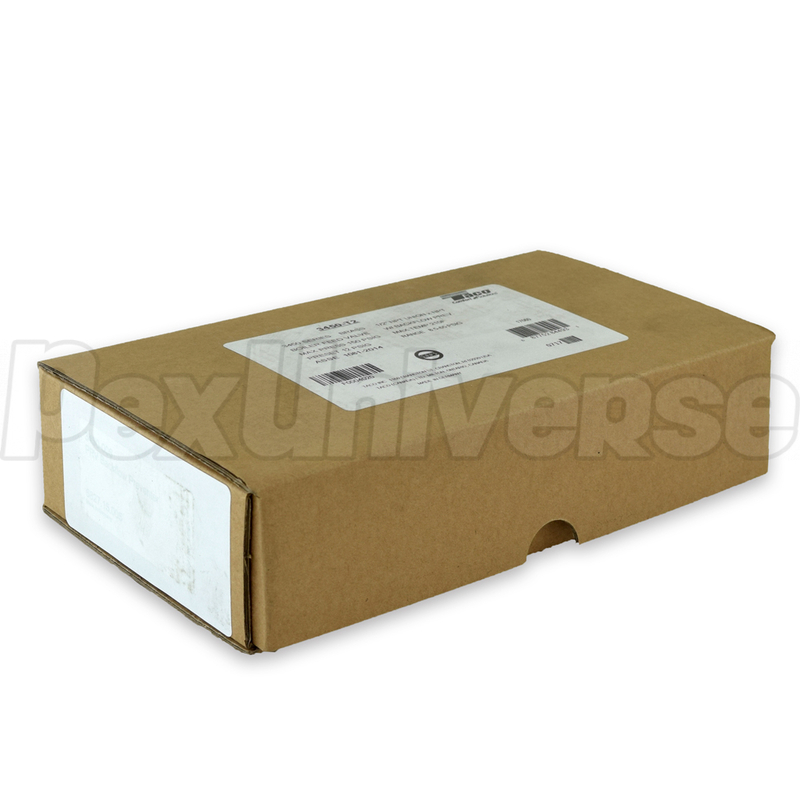 Ideal for typical radiant heat and baseboard/radiator hot water heating systems. 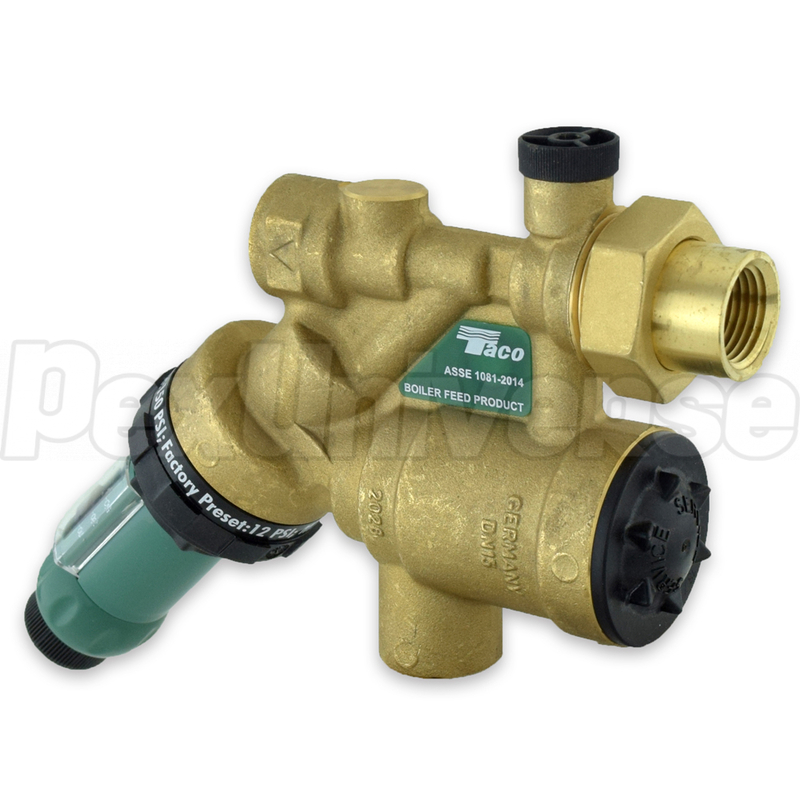 Both backflow and pressure reducing cartridge can be serviced or replaced without shutting off water supply. Max Inlet Pressure: 150 psi.